The Syrian revolution uses a strikingly familiar logo. 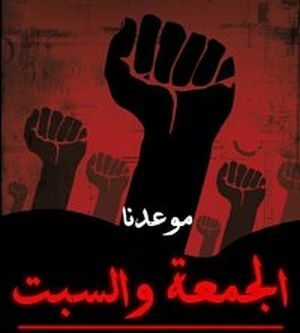 The Otpor fist was originally used in Serbia in 2000, and handed off to the various movements trained by the US funded CANVAS organization, including the Tunisian & Egyptian youth movements- now the Syrian Youth Revolution. “A prominent Syrian opposition figure says the country is “a bomb, ready to explode” as protesters demand freedom and an end to president Bashar al-Assad’s “cancerous regime,” reports Australia’s ABC News. This prominent Syrian opposition figure is “human rights activist” Haitham Maleh, of the Human Rights Association of Syria, recently released from a Syrian prison. Haitham Maleh, and Muhannad al-Hassani, another activist whose plight is being used to stir up unrest, both received “pro-bono” legal services from the CFR stacked “Freedom Now” organization. Freedom Now receives funding from the Moriah Fund, the Lantos Foundation which includes Israeli President Shimon Peres as an “adviser,” Real Networks Foundation (which also funds Democracy Now) and the Charles Bronfman Prize which proclaims on its website “Jewish Values. Global Impact.” Freedom Now also receives “pro-bono” legal support from the Pillsbury law firm, a CFR corporate member. Freedom Now specializes in “political prisoners” from various regions around the world that attract the attention of globalist ambitions. Leveraging these “human rights abuses” affords the globalists a perceived moral high ground from which they can exert pressure on target nations. This is very similar to the operation being run by Chatham House globalist Robert Amsterdam of Amsterdam & Peroff, who is defending western-backed Mikhail Khodorkovsky to ratchet up pressure on Russia, and Thaksin Shinawatra to exert pressure on Thailand. Understanding who these “human rights activists” are, who is supporting them, and the role they play in the latest round of the Western-backed “Arab Spring,” we can better understand articles like the Jerusalem Post’s ‘More than 100 killed in Syrian anti-government rallies.’ In the very first paragraph, the article concedes that the reports were cited from human rights activists and witnesses, thus a continuation of the absurd, unsubstantiated reporting seen earlier in Libya where unverified reports by the criminally irresponsible corporate media laid the groundwork for an equally criminal military intervention. It is important to remember that Syria was included under George Bush’s “Axis of Evil” and mentioned in a 2007 speech by US General Wesley Clark as slated for destabilization and regime change. Other actors amongst the Syrian unrest to be wary of include the London-based Syrian Human-Rights Committee whose hearsay statements posted on its website are cited by corporate news media in outlandish reports of violence that also include “activists say” after each allegation. The clownish London-based Syrian Human Rights Committee puts on a poorly staged demonstration outside the Syrian Embassy in England. As silly as the SHRC looks, a good majority of the information the mainstream media reports on from Syria comes from “human rights organizations” like this. There is also Kamal Labwani, who in 2005 was arrested in Syria after returning from a trip to Europe and the United States where he met with government officials, journalists, and “human rights” groups in his effort to “change” the Syrian government. Amongst these officials Labwani consorted with was George Bush’s Deputy National Security Adviser J.D. Crouch. Considering that the United States had openly declared Syria a rogue-state, and in a speech by John Bolton, was targeted by possible US military action, Syria’s accusations that Labwani was guilty of “communicating with a foreign country and inciting it to initiate aggression against Syria” doesn’t seem so far fetched. In most nations the punishment for treason is death, under Syria’s “cancerous regime” Labwani got 12 years. Once again, we see an entire movement fomented and propelled by Western-backed opposition in tandem with the corporate owned media. This is all part of a now irrefutable larger plot consuming the Middle East and Northern Africa. Just as we saw in Egypt and to a greater extent in Libya, the initial phases of unrest in Syria are marked by purposefully sloppy and confused reporting giving the destabilization efforts on the ground a chance to stampede the government from office. Should this stampeding fail, the truth will begin to trickle out, and the West’s involvement will become more overt.